The worldwide pioneer in the creation of interactive entertainment. 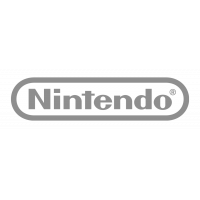 The worldwide pioneer in the creation of interactive entertainment, Nintendo Co., Ltd., of Kyoto, Japan, manufactures and markets hardware and software for its Wii U™ and Wii™ home consoles, Nintendo 3DS™ and Nintendo DS™ family of portable systems. Since 1983, when it launched the Nintendo Entertainment System™, Nintendo has sold more than 4.3 billion video games and more than 680 million hardware units globally, including the current-generation Wii U, Wii, Nintendo 3DS, Nintendo DS, Nintendo DSi™ and Nintendo DSi XL™, as well as the Game Boy™, Game Boy Advance™, Super NES™, Nintendo 64™ and Nintendo GameCube™ systems. It has also created industry icons that have become well-known, household names such as Mario™, Donkey Kong™, Metroid™, Zelda™ and Pokémon™. A wholly owned subsidiary, Nintendo of Europe, based in Grossostheim, Germany, was established in 1990 and serves as headquarters for Nintendo's operations in Europe.